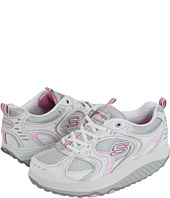 Mommy's Wish List: Skechers: 70% off + free shipping + 10% more off code. Skechers: 70% off + free shipping + 10% more off code. It's Black Friday on my favorite website! And one of the hottest deals 6pm has today is that all their Skechers are up to 70% off. Even Shape-Ups and Twinkle Toes! I found kids Skechers for as low as $16. *awesome* Check out the Black Friday Skechers clearance section here. This deal is today Black Friday only. Plus remember, shipping is free on 6pm. GET ANOTHER 10% off your Skechers with the code 6PMBLACK122312WOM at check-out. This code is good for the first 15,000 people who use it only. There will also be one surprise deal every hour on the hour for 24 hours on 6pm on Black Friday as well. Black Friday clearance on Patagonia: up to 75% off + free shipping + 10% off with the above code. Subscribe to Mommy's Wish List so you don't miss a deal on high-end shoes.